Are you single, recently graduated, or just itching for a new adventure ? Masters' student Lucia Claro shares how travelling helped her soul. Lucia Claro is living the Parisian dream as a Masters student at Sorbonne University in France. Originally, from Rio, Brazil, Claro first went on exchange to Toronto, Ontario, Canada during her undergraduate degree. 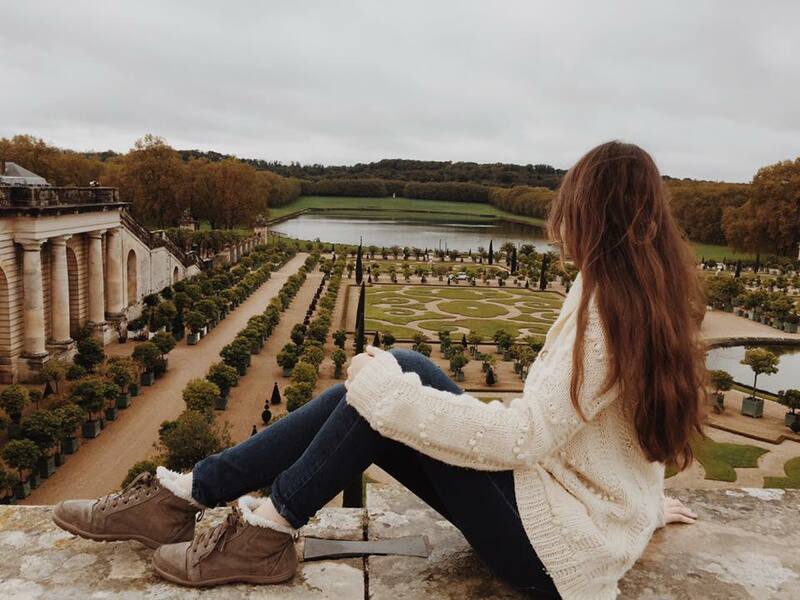 Loving her first exchange experience Lucia readily prepared for next trip – Paris, France ! Read below, to see how to take risks, be bold and travel ! HA : You are in France pursuing your Masters ! Can you discuss how that came to be ? LC : I cannot believe it is true, but, yes, I am in France. I’m going to tell you a love story. I started studying French one semester before starting college. In my first French class, I completely fell in love with the language. At university, I studied English and English Literature and I loved English as well. However, there was something about French I couldn’t explain. Having this in mind, I dreamed about going to Canada since I figured I could improve both my English and French (English and French are the national languages of Canada). I went on an exchange program in Toronto, Ontario, Canada and I got the opportunity to take some advanced courses in French. Studying French in Canada opened many doors for me. When I came back to Brazil, I tried getting a job as an English teacher at a language school but ended up being hired as a French teacher. At the time, the language school needed French teachers, so my knowledge of French came in handy ! I was also going through a period in my life in which I was asking God for direction so that I could know where He wanted me to go next. I asked Him specifically where in the world He would like me to pursue my Masters. I started getting many signs that I should go to France. Examples of signs included the job as a French teacher or the time a French teacher of mine told me and my classmates that France was a nice and cheap place to take our masters. All of that happened when I started to seek direction from God. God was answering me and it made me very happy and motivated. I started applying through Campus France to as many Masters programs as I could in France. I ended up being accepted at Sorbonne. I did not believe attending Sorbonne was possible because Sorbonne requires students to have a high level of French. One thing I know for sure, God knows what He is doing. HA : What has God shown you through travelling ? LC : He showed me people. Really nice people I would have never met if I had not left my country. Through people, He showed me new ways of thinking, understanding, sharing, cooking and studying. In short, He showed me that there are many different ways to do the same thing. HA : What advice would you give to those aspiring to travel ? LC: Open yourself to new experiences. Judge as little as you can. Be humble to learn everything again. Once you know both sides of a coin, you learn to admire both of them and you are able to identify which side suits you better in each situation. Be open to learn, to sound stupid and to face challenges. Be careful, because you may get addicted to traveling ! Read the full article at marriedandyoung.com. Writer and foodie extraordinaire. Psalm 27. www.habibaabudu.com. www.facebook.com/habibadoesthings.